Now available for use on your computer, tablet and smart phone. 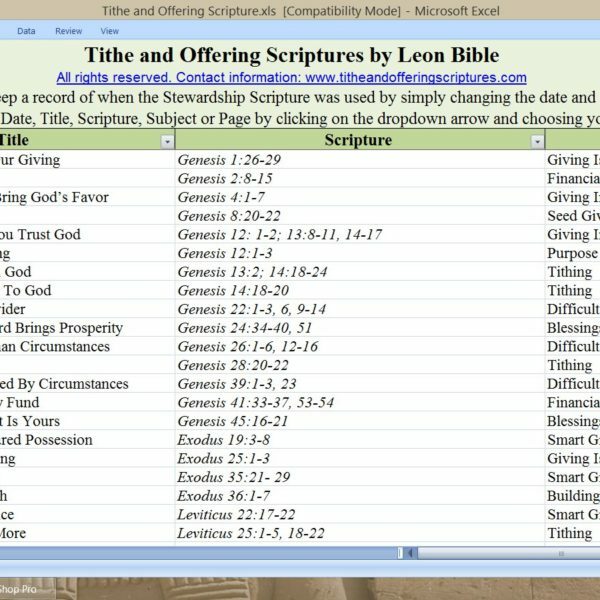 Tithe and Offering Scriptures by Leon Bible, is a E-book of Bible passages and meditations arranged in Biblical order. Ordering is Easy – Just select your choice below and press add to cart! You can always remove it later if you change your mind. Description: Now available for use on your computer, tablet and smart phone. 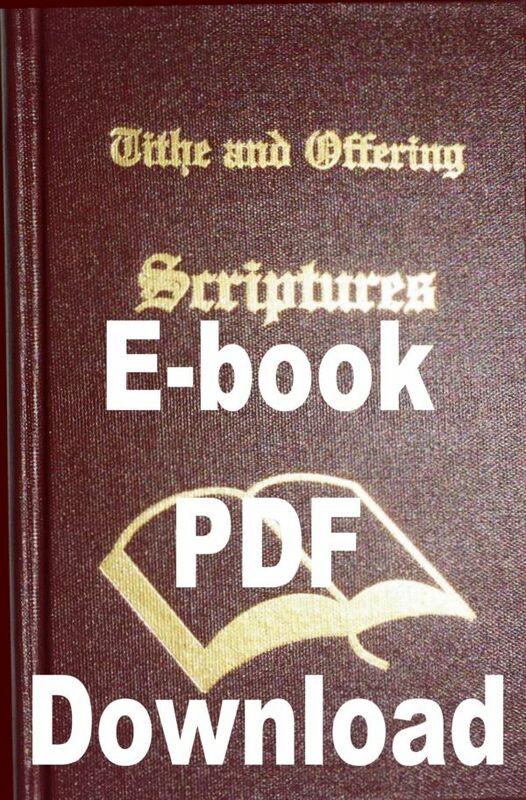 The Tithe & Offering Scriptures E-Book by Leon Bible, 260 Bible passages and meditations arranged in Biblical order (or 52 Bible passages and meditations when ordered individually). Written from a Pastors heart, Tithe & Offering Scriptures is bold in proclaiming promises of blessing to the giver and tither; yet no exaggerated claims, fanciful interpretations, or twisting of Scripture are used to manipulate giving. 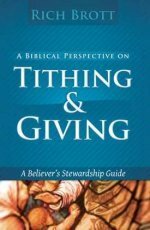 Giving and tithing is truly an act of worship and faith. Click on the image below to view just one of the Tithe and Offering Scriptures available. Title – Each meditation has a prayerfully worded faith-filled title. Theme – The theme states in a concise and clear way the Scriptural thoughts and ideas that will be left in the hearts of the hearers. Scripture Reading – The KJV Scripture text is printed for your convenience, however, any version may be used. Other versions are often given where help in clarifying the text is needful. Relating to the Scripture – In a simple and straight forward way, the teaching of the text is given. Often Hebrew and Greek word meanings as well as other Biblical resources are cited and referenced. Offering Admonition/Confession – This section serves as a connecting statement between the Scripture and the offering itself; which may be read or may be used to lead Gods people in a confession of faith. Personal Notes – Recognizing that God will also be speaking to you, as you meditate His Word, a place for recording your own thoughts and spiritual insights is provided. 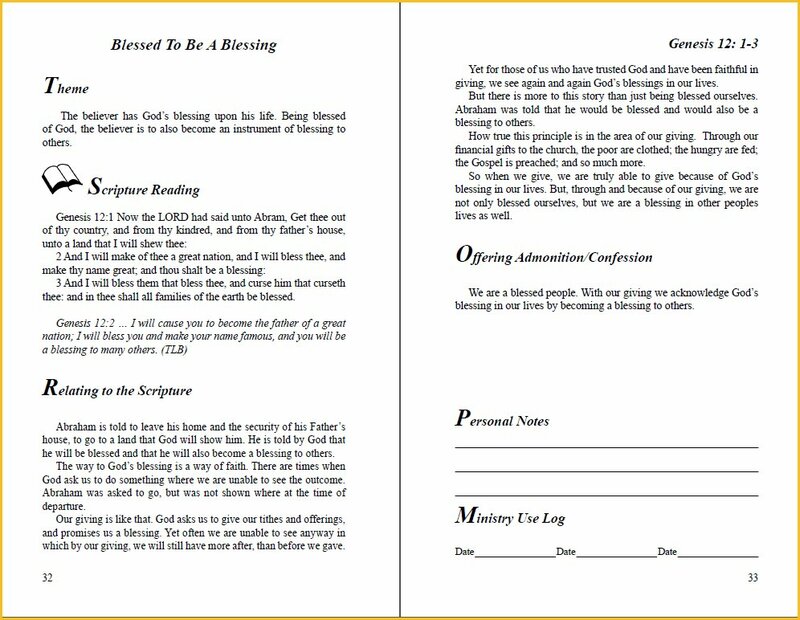 Ministry Use Log – These Scriptural meditations are intended to be used in the receiving of tithe and offerings in Christian assemblies. Understanding that these Scriptures will not be used in order and that the minister will need to know what Scripture was used and when, a record section for Ministry Use is a must and is included. Each of the individual books contains 52 different giving Scriptures. Combined into the one ebook are all five books with a total of 260 different giving Scripture Outlines; enough for 5 years! All five books are listed below. One of the outstanding testimonies we have received – A Lutheran Pastor from North Carolina called our office a few days ago and said: On the first Sunday I read a Tithing Scripture in our church, a lady gave my Treasurer an envelop at the close of the service. The Treasurer called me later that afternoon and said I should come to the church at once. I went to the church and the lady had written a letter and gave it with a check, in her giving envelop. She said “thank you for sharing the Word on giving.” She said she had been behind in her giving and wanted to honor God, as the Scripture I had read said we should do. In the envelop there was a check for $10,000.00. Thank God for Tithes and Offering Scriptures!